*Blend of cotton, nylon and elastane for comfort and durability. 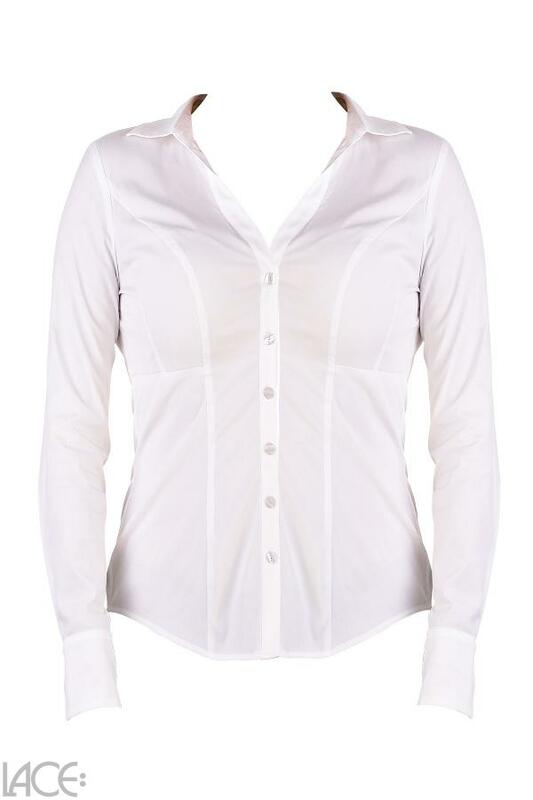 The bust-friendly blouse is in EU cup sizes. True beauty comes from within. If you feel very comfortable in your well-fitted bodywear, you will increase your self-confidence and energy ... LACE Design Luxury Classic Shirt F-H Cup belongs to the category Blouse and is part of the collection Classic Shirt. The product has the article number 3-512-701-6_white=T24d by LACE Design, and is available in the following colours: WHITE, and is made from these materials Cotton 79%, Polyamide 17%, Elastane 4%.